Mountain resorts tend to attract an active guest, mostly commonly in the form of a ski or snowboarder. These guests seek a rich outdoor experience that is complimented by their indoor resort experience. For job seekers that can contribute to enhancing the guest's resort experience, they too, will get to play in the snow. Mountain resorts are located all over the world, and can be quite diverse in their features. One thing that rings true, however, is that no matter the resort, guests and employees love it when it snows. Employment opportunities will be most abundant as resorts prepare for the mountain to open for the winter season. Resorts will increase staffing as they expect increased guests to come visit. Housekeepers, front desk agents, restaurant servers, bellmen, doormen and valet drivers positions will typically be increased. Additionally, opportunities that are seasonally-specific become available. Common positions that are available at a mountain resort include ski shop sales clerks and ski valet. Having ski and equipment experience is an important skill for these positions, as guests will look for advice and guidance. The opening of the mountain will also open employment opportunities for ski instructors, ski patrol, ski lift operators and mountain groomers. Whether you're the server delivering a hot toddy poolside, the front desk agent that fits in a run during his lunch break, the retail clerk that helps with boot fittings or the hotel salesperson that spends that afternoon skiing with their client, if you are working at a ski resort during the winter season, you are always reminded of the winter wonderland that surrounds you. Start your search for your Dream Job Today! Although the winter season is the busiest, the summer season offers its own unique charms. Once the snow melts and the mountain reveals itself, opportunities to hike, fly fish and mountain bike are immense, and the ski shop will transform into a retail shop that caters to summer activities. Again, the resort will look to fill any open positions with people that have an expertise in these areas. Summer in the mountains is also a popular time for weddings, so often the resort will become busy with wedding and other catering events. This typically increases opportunities within the banquet and catering staff. Due to the seasonality of mountain resorts, it is not uncommon for resorts to close for a few weeks during the spring when snow is melting and again, in the fall before the mountain opens. For job seekers that seek flexibility in their schedules, this provides a great opportunity to travel and pursue other endeavors. 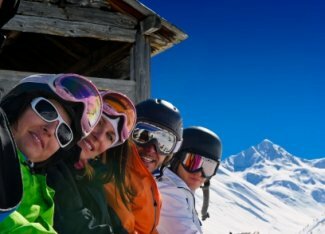 To learn more about the unique benefits and challenges of working and living in a mountain resort, continue reading on in our Member's Section.